Founded in 2012 by artist Olafur Eliasson, the little sun project has provided energy to communities without electricity worldwide — a figure which now reaches more than 1.1 billion people. over the years, Eliasson’s initiative has expanded into a full range of solar products, including little sun diamond, with each new idea demonstrating how profoundly sustainable energy can positively impact people’s lives. 96.5% of the population in the kamonyi district don’t have electricity at home. year round, the sun sets at 6pm, ending all work. at home, families use kerosene lamps, candles, or battery-powered torches, which can be expensive, noxious, and detrimental to eye health. 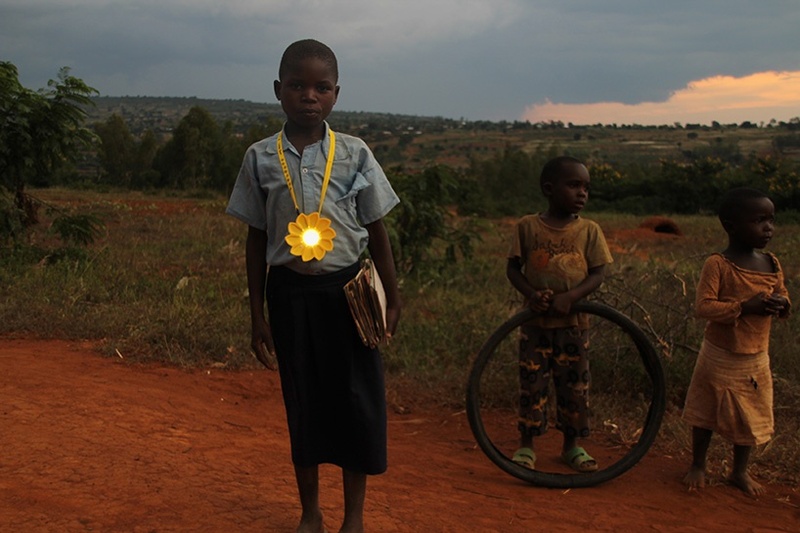 in local solar workshops, the little sun foundation and partner safer rwanda introduce both teachers and students to the benefits of solar technology. During milan design week 2017, Olafur Eliasson was awarded THE DESIGN PRIZE, in its inaugural edition, in the category of EXPERIMENTATION for ‘little sun’ and ‘little sun diamond’.